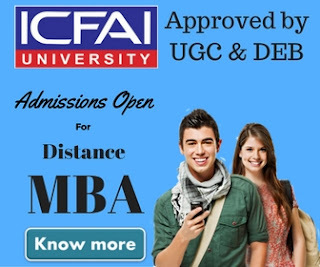 In this article, we will discuss about Sikkim Manipal University Distance Education BBA course, it's eligibility criteria, fee structure, and admission procedure. There are many perks in distance education which can be exploited by people who cannot afford to quit working to study. It is applicable to both undergraduates and graduates too. Many UG and PG courses are offered through this learning method and it is approved by the governing authorities. Sikkim Manipal University – SMU is well known for its distance education programs. Today, we will discuss one course BBA – Bachelor in Business Administration offered by SMU via distance education. When it comes to distance education, the choice is yours. Everything would be decided by yourself since the time taken to study and prepare will solely be your responsibility. You will not be under the pressure of attending timely classes which could be impossible for working professionals. I ask a question back to you, why not SMU? Unless we know what is being offered, decisions cannot be made out of the blue. We need to consider a reliable and reputed educational institute for distance education since it will reflect on your resume. SMU is a renowned educational institute with respect to both regular and distance education. There are many features to be utilized while studying in SMU like tech-powered learning, scholarships, placement cells and more. With excellent technical usage, SMU has an online platform called EduNxt which assists in any study material with respect all the courses offered by this prestigious university. One of the best courses to pursue in the commerce sector is BBA with numerous options to study further if students are willing to. The curriculum is approved by the concerned authorities which is UGC. SMU believes in a practical approach with relevant real-time examples to ensure maximum exposure to the business skills and necessary tips – tricks. With dedicated student support and academic advisor options, SMU’s distance education program is an excellent choice. Talking about the BBA course, the 3-year term has 6 semesters and each semester is graded based on credits for every subject with a maximum of 16 credit earning potential each year. The approved curriculum consists of subjects like Business Environment, Communication Skills, Financial Accounting, International Marketing, Logistics and more. These subjects cover every aspect of the business management and administration. Every university has their unique way of doing things and it applies to SMU as well. 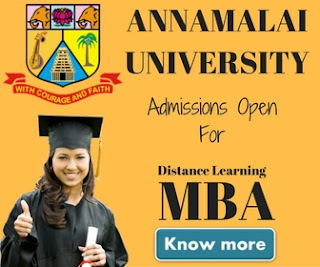 They have their own set of protocol that has to be followed to obtain admission under SMU’s distance education program. Any update with respect to admission is available on the official site. Follow the set of protocol shown below to ensure that the application is approved and you obtain admission. In case of any information mismatch, the application will be rejected. The decision is solely at SMU’s discretion and you will need to provide a new enrollment form with the correct information. To ensure that the information entered is accurate, please go through the fields once more. This helps in proper approval of your application and you can proceed to make arrangement for funds to pay SMU for the course opted. The application will be easily approved if you fulfill these eligibility criteria. These criteria hold the utmost importance in accepting any application and you need to ensure that you are eligible before you apply for the course. This clears the obstacle in approving the application however, you will need to provide a valid government ID and address proof and the most recent photo uploaded at the relevant space provided. Payment can be made via online or net banking depending on your convenience. Since the fee is based on semester, you could either make yearly payments or semester wise payments. Documents furnished will prove the information that you have provided in the enrollment form to be accurate. Please ensure that all the documents are properly scanned and the information is visible. With many payment options available, the candidate can choose the convenient one to ensure that the fee is paid on time and in full to avoid a late fee. Distance Education is an excellent option for the people in the working sector. As long as you are committed to complete the course, you should be able to with the first try. Good luck with your academic future!